Most authors are introverts by nature, so the idea of trekking from book signing to festival event may make you hyperventilate. But there’s nothing more powerful than a face-to-face connection to keep you and your work foremost in a new reader’s mind. The more book signing gigs you can land, the more readers you’ll meet, and the higher your chances to increase book sales. Since you’ll need to have something in hand to sell, you should self-publish your book in print as well as e-book format. You can buy your own books in bulk at a discount and then re-sell them at festivals, local events, conferences, and other venues. You may not be overly outgoing or naturally charismatic, but with a little practice and a touch of chutzpah, you can increase your book sales by hand-selling like a pro. Choose Your Ground. A bookseller, event planner, or festival organizer may try to put you in a far corner for your event, but see if you can arrange for a more highly trafficked area. The more people who pass by your table, the better your chances of engaging a dozen or so in meaningful dialogue. Stand Up. You may want to hide behind a teetering pile of books, but you’re more likely to command attention and be more approachable if you’re standing. Make Eye Contact. Avoid addressing harried people, cell phone chatterers, or parents struggling with cranky children, who won’t be receptive to yet another distraction. But if you can make eye contact with a relaxed passerby, you have an opening to speak. Yes, it’s nerve-racking, but the first step in any new acquaintance is breaking the ice. Lure Visitors In. Having a display of free swag or a bowl of candy at your table is a great way to tempt folks to approach. Once they’re close, you can launch into your hand-sell. Opening Lines. Have your elevator pitch ready and be prepared to introduce yourself while offering up your book: “Hi, I’m Suzy Author, and here’s my latest novel, fresh off the press.” Smile, maintain eye contact, and be as charming as you can be. Be Alert For Opportunities. 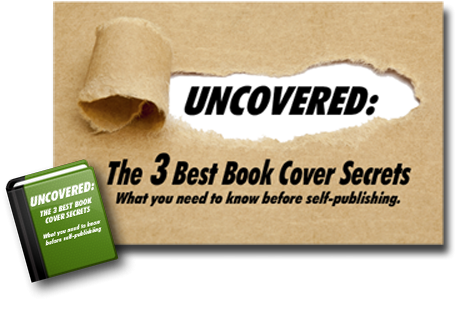 If a reader takes your book into his or her hands and starts to read the back cover copy, you’re halfway to a sale. Keep talking! Consider what might make your potential buyer hand over some hard-earned cash. Is she a harried mom who looks like she could use an hour of romantic escape? Is he wearing a traditional wool fisherman’s sweater, and your book is set in Ireland? Engage the reader in conversation, tell an engaging story about what inspired you to write your book, or suggest how your book would be a great gift for a college graduate, a new bride, or a soon-to-be father. Be A Closer. Bragging isn’t always a dirty word—so be enthusiastic and genuine about your success! And if the bookstore is discounting the cover price of your book, let the reader know the added value if purchasing it now. Offering to personally inscribe the book provides an additional incentive for your potential buyer to commit. Take Rejection In Stride. You will get a dozen rejections for every one person who considers your book. That’s okay, because writers eat rejection for breakfast. Just smile, say thank you, and look for another prospect. Hand-selling your self-published book requires planning, persistence, and a touch of unabashed self-promotion. But nothing spurs book buzz more than a newly converted fan texting all her friends about the amazing novel they just read—by an author they actually met. QUESTION: What was the last book you read that was recommended by a friend? I had no trouble selling soft cover books, but my eBooks are a different story. How do you market eBooks?